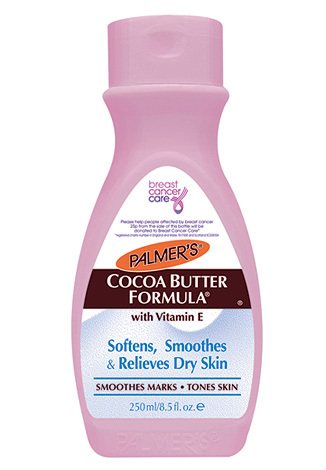 Palmer’s cult Cocoa Butter Formula Lotion for dry skin in special pink bottles! Phew! That concludes my Breast Cancer Awareness Month product showcase, I hope you’ll do your bit and pick up something from one of the many, many brands that are pledging their support to the cause. I wish I could showcase them all… I didn’t include GHD, Crabtree & Evelyn, Dr. Vranjes… the list goes on. Take a moment this month to see if you can support a brand who in turn will support a great cause. It’s a win-win situation! ahh i need to get my hands on one of these, palmers cocoa butter is a dream alone, and in pink packaging – perfect! Love palmers cocoa butter…will defo pick this up now that your donating to charity when buying it..and a pink btl…bonus!!! Keep up the good word. This is for a great cause.